7 - 14 September 2014, Arena de Evolución – L.O.C.K. 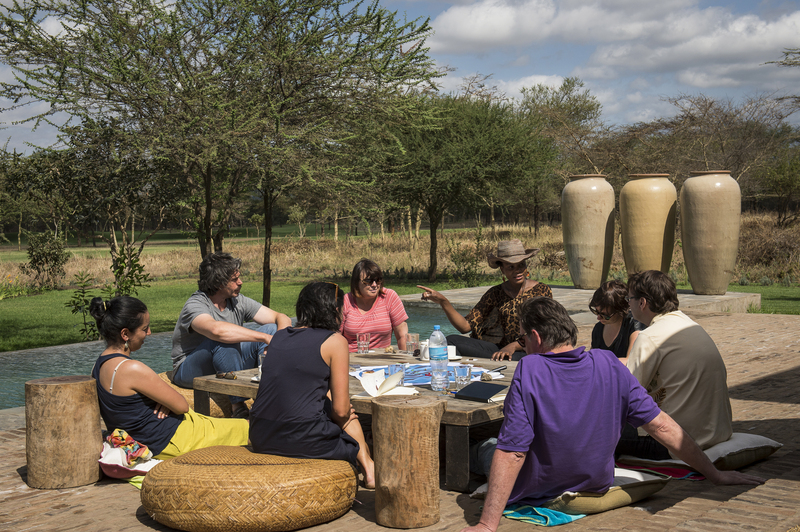 An international group of thinkers, experts and scientists immersed in the Maasai culture. The face that this traditional Maasai tribe lives so close to nature and are said to “be free, unassuming, practical, down to earth and skilful at what they do” helps in understanding them. That way, they can provide us with useful insights in human cultures, ecosystem dynamics, social justice, fertility, immunity and sustainable development and in how to find a balance between nature and culture. But what is the Masaai’s view on evolution? And how do they cope with recent developments and the challenges from a modern Tanzanian and global society? 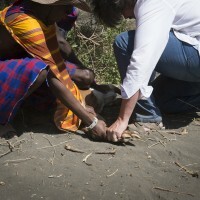 We are connected through SOTWA (meaning umbilical cord); a cow the group adopted from the Maasai. 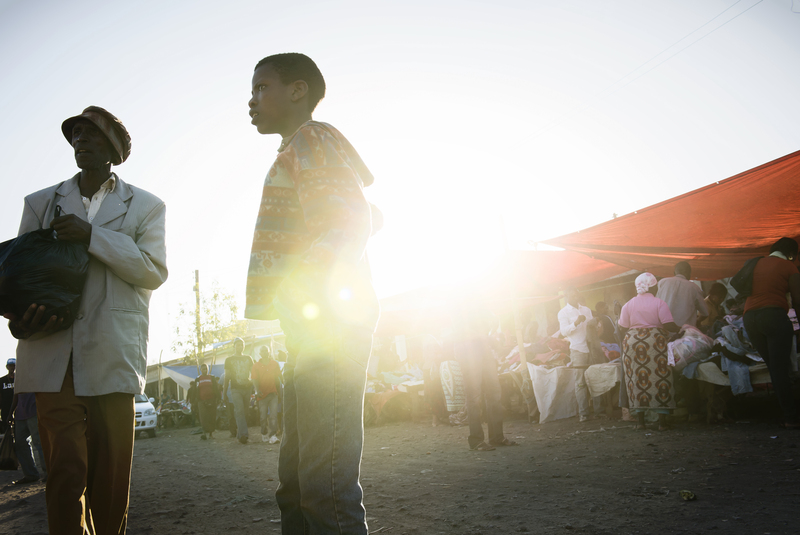 Our visit was sealed with a pact; an Mkataba. 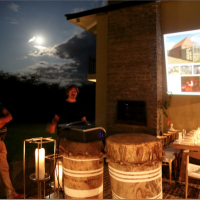 From the 7th of September until the 15th of September, 2014, an international and interdisciplinary team of thinkers, experts and scientists travelled to Arusha, Tanzania (Africa) to set up an ‘Arena de Evolución'. 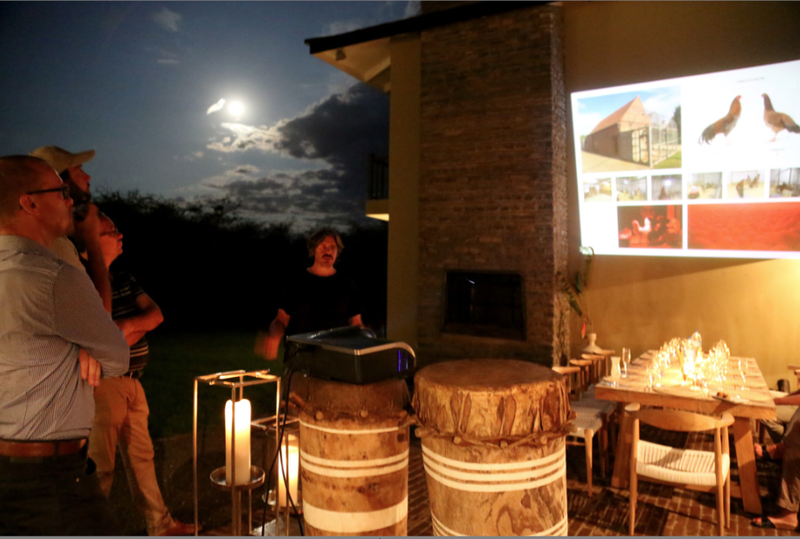 The aim was to gather knowledge, inspired by the Maasai. Mkataba Y'Arusha forms the second Arena, organised within the framework of Vanmechelen's project for the ‘Bienal de La Habana, Cuba 2015'. Since 2013, several arenas have been installed. 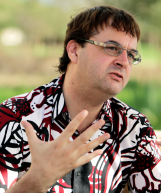 Each of these working groups typically consists of 5-6 experts from different domains and focuses on central questions that relate to Koen Vanmechelen's work; immunity, diversity, fertility and ethics. Each topic is researched from two specific angles; a biological and a cultural point of view. 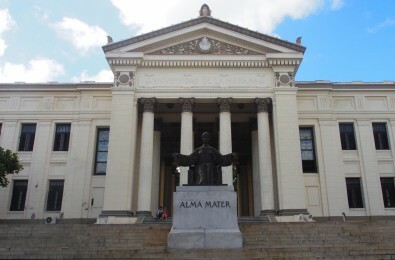 All the knowledge generated via these arenas is being documented and archived and will become part of the Library of Collected Knowledge (L.O.C.K), presented during the Cuba Biennial as part of an in-situ installation. In 1998 a group of 8 people in Denmark have co-created the Flow Game, to help illuminate people's possibilities and explore the future. The game is meant to be played by teams who need to come to the next level of clarity of their collective. Another purpose of the Flow Game is to ground, strengthen and bring clarity and flow to human beings, their life, leadership and actions. Chido Govera is one of the few people entitled to host this game. Played over three days the game was set up to create a community out of the participants in this arena and to prepare them for the meeting with the Maasai. 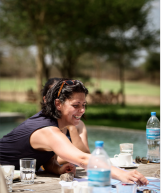 Moreover, it led the group to gain more clarity about their questions for the Maasai and helped in creating a mutual, open space, where true encounters could happen. Two experts on biological diversity had been invited, one on fauna, the other on flora. The conference started with artist Koen Vanmechelen introducing his Cosmopolitan Chicken Project and the Arena de Evolución project for the Biennial of Havana. 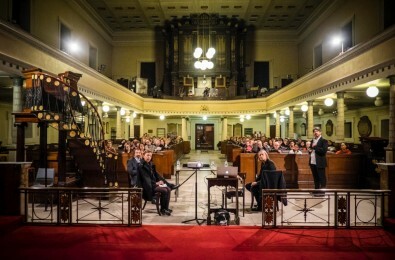 After this introduction, the two experts talked about their fields of speciality. 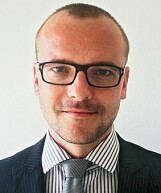 Thomas Dubois is the Director of AVRDC Eastern and Southern Africa, based in Tanzania. 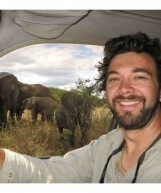 Dr. Dubois has received his Ph.D. in Entomology from Cornell University, USA in 2003. 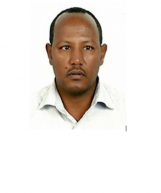 From 2005 to 2012 he has served as a scientist with the International Institute of Tropical Agriculture (IITA), where he managed aflatoxin mitigation activities, developed seed marketing systems for East Africa, and worked on strategies for harmonization of biopesticide regulations and coherence in biotechnology applications. His recent activities have emphasized value chains for rice in 11 countries of sub-Saharan Africa, developing banana as an income-generating crop through linkage with the private sector, and enhancing technologies to reduce aflatoxin contamination of crops at a commercial scale. Dr. Dubois received the 2006 Young Promising Scientist Award from the CGIAR (Consultative Group on International Agricultural Research). 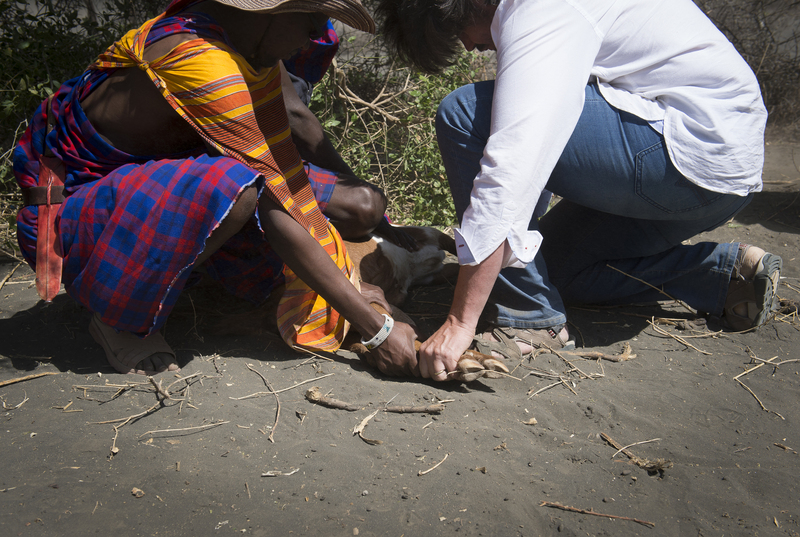 The group was especially interested in learning about the diet of the Maasai. Since they don't grow vegetables and mostly rely on either milk, blood or meat for their daily food intake, the question was raised where they get their vitamins from. Dubois explained that the Maasai use a lot of herbs and plants of highly nutritious value in their cooking and as medicines. They learned how to survive in their environment through evolution and adaptation. 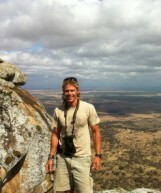 FInally, Clint Schipper, the bird expert, continued with an introduction to the bird diversity that exists in Arusha. The National Park alone gives shelter to more than 300 bird species. The different ecosystems and differences in altitude provide various species with the perfect environment to live and breed. 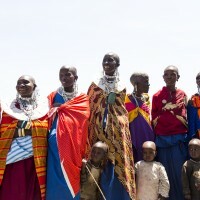 - What can I do for this group to help make a success of our visit to the Maasai? 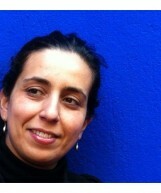 - Can I explore the other with mutual respect and without boundary of culture? - Do you see me as a threat importing diseases and dominant culture or do you rather look at me with curiosity to see how I live? - How will I communicate with the Maasai? - Can I be a sponge without imposing myself? 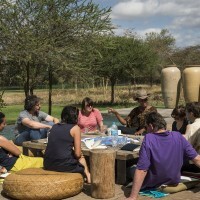 - Shall I understand the signal that validates the connection with the Maasai reflected in my work? 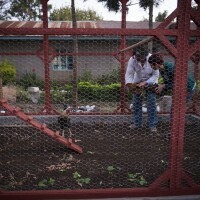 Tanzanian hens were bought at the local market and brought to the Baraa Primary School where a cage from the Cosmopolitan Chicken Project was installed. 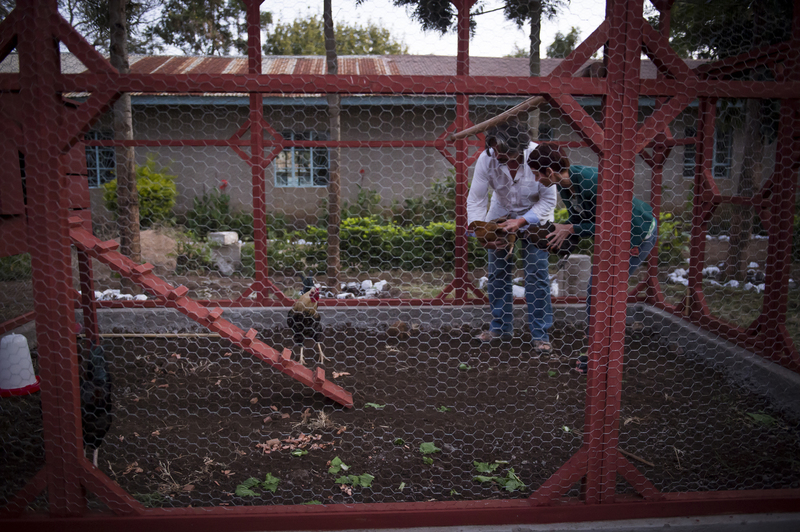 Here the Tanzanian hens were cross-breed with a typical rooster from Kenya. 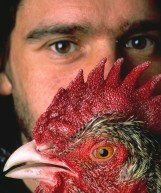 Previously Vanmechelen had been trying to bring African chickens to Belgium for over 15 years. However, with little success due to the strict regulations. With this project, he aims to cross-breed chickens from all the different African countries first on African soil, then bringing this hybrid to Europe. 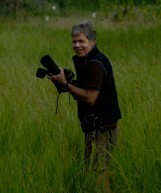 Daudi Peterson grew up in Tanzania and carried out pioneering studies of wildlife distributions in the pastoralist landscape of the Maasai Steppe during the 1970s, before founding Dorobo Safaris with his brothers Mike and Thad in the 1980s. They established the Dorobo Fund for Tanzania, a nonprofit organization which helped found the Ujamaa-Community Resource Trust in the late 1990s. It was founded as a way of addressing rural conservation challenges, local livelihoods, and community empowerment in an integrated and grassroots manner. Peterson possesses a deep knowledge of the tribes he works with and is focused on the issues that the land and people face. During a two-hour lecture, he introduced the group of experts in the Hadzabe and Maasai tribe, their culture; language, habits, feeding patterns, social system, rituals and overall social and cultural norms. On our way to the Maasai and in conversation with our driver, Koen asked what he saw as most valuable for the Maasai culture. "If there is one thing you could take with you from the Maasai to the village, what would it be". The answer was simple and complex at the same time; a cow. 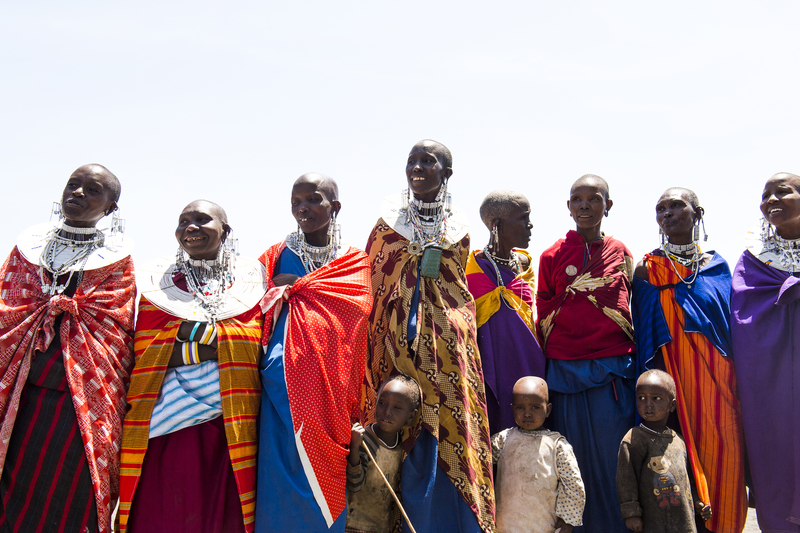 For the Maasai, their life stock is what keeps them alive. They depend on the cattle as a main source of food energy. It also determines the social status of a warrior or tribe. "To ask a Maasai how many cows he has is like asking how much you have on your bank account". The cattle functions as the source of an ecosystem: having more cows means that men can have more women. As a result they will produce more offspring. 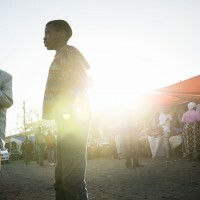 In the search for connecting with the Maasai, the cow provided a direct link; by adopting a cow the group opened the space to create a tight relationship with this tribe. Arriving in Engikaret (the village), the group was firstly invited to ritually slaughter a goat as a sign of mutual respect and their openness to encounter. Maasai - "Welcome, make this feel like your own home." This ritual is reserved for the men only. The encounter with the women followed after the ritual. The group was welcomed with laughter and singing, and invited to their houses. The actual arena was set up in the area where the tribe keeps the goats at night; a circle made from Silalei - Thorn Trees, bottom covered with goat droppings. Two translators were present; the group spoke English, the guide translated in Swahili, and the coordinator of the village converted it to Maa. After an introduction round, Chido Govera was introduced as the facilitator. 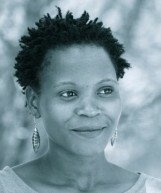 Being from Zimbabwe but working as a social entrepreneur worldwide, she knows both worlds and functions as a bridge. "While it is so easy to see the group and to think that we are coming as tourists, we are actually coming here to look for something more than to see you, ask you a few questions and leave afterwards. We want to learn as much as we can from you, but we also want to create an environment in which you can be curious about us. And if we can offer something, we would like to offer that. Our ultimate goal is to become friends with you." The Maasai reacted positively to this invitation and brought up the metaphor of the finger and the ring, engaging in a positive relationship. After this, the floor was opened for questions. Focussing on the key concepts of the project; immunity, diversity and fertility – how do you manage having children, what do you teach your children, how do you interact with the environment in such a manner that it continues to give you food, what works best in your community, what do you celebrate – where only few of the questions. 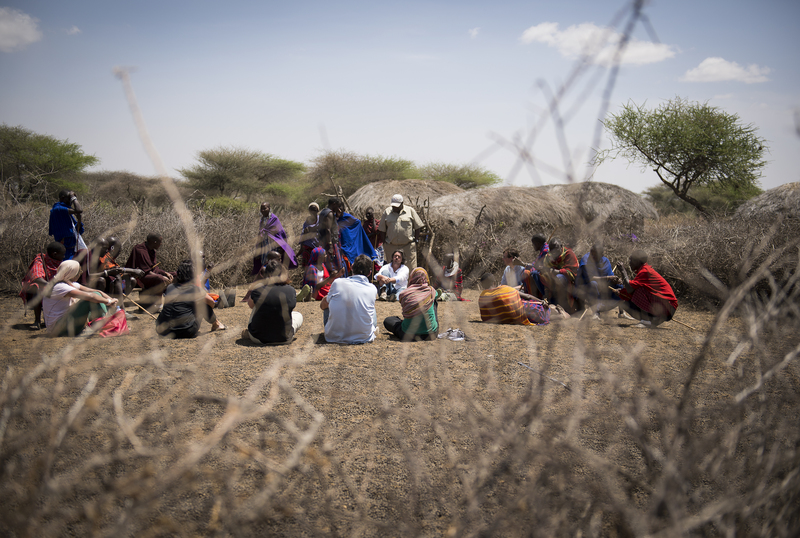 The Maasai spoke about climate change and the influence it had on their food intake. They explained how this interferes with their biological circle, which is based on the amount of cattle. The cattle determines how many women they can have and hence the number of children. They blamed themselves for the recent changes in their environment; they had been too successful in the past, which had lead to overgrazing and too many women and children to take care of. And now they were forced to give up part of their cattle, in order to create a new balance. 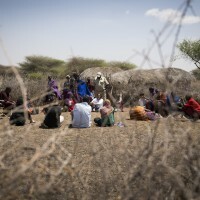 Maasai - "Our population has grown very fast, which caused us to use the land in a very bad way. 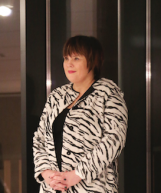 We are continuously trying to balance." The concept of adopting the cow developed further throughout the conversation; by adopting the cow, the boma (Maasai Village) has the usufruct on this animal. They take care of it and can have the milk, blood, offspring and eventually meat when it dies of a natural cause. Via cell phone and email, the group is kept up to date on the developments of the cow. 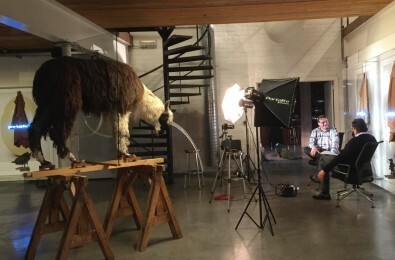 After its death, the cow's skin is sent to Koen to use in an artwork. The oldest women ‘Mamma' of the tribe came up with a name for the cow; Sotwa – meaning umbilical cord – connecting the baby with the mother. 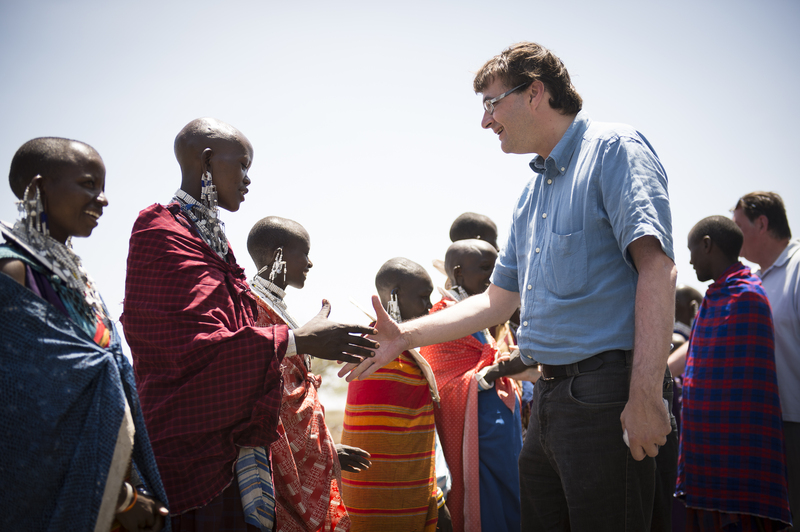 On this day, Koen Vanmechelen made a treaty with the Maasai, a pact, an ‘Mkataba'; The Mkataba Y Arusha, 11 September, 2014. "On this fertile ground of goat droppings, full of bacteria and fertility, an arena ready to explode, came into existence. This energy translated itself in an intense and deep conversation on fertility, immunity and diversity. 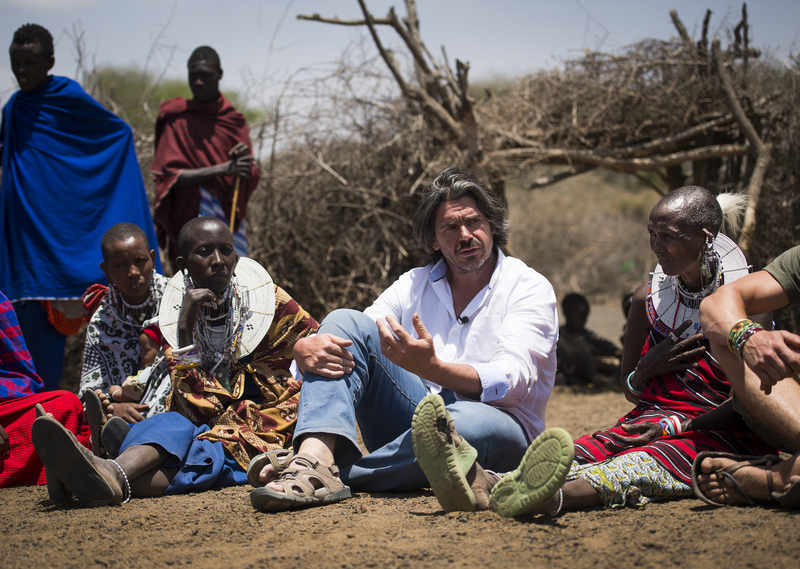 Through this interaction, we gained a deeper insight into the way the Maasai live and the way they look at nature and draw conclusions within the context they live in." The Ngorongoro Conservation Area (NCA) is a conservation area and a UNESCO World Heritage Site located 180 km (110 mi) west of Arusha in the Crater Highlands area of Tanzania. Ngorongoro Crater, a large volcanic caldera within the area, is recognized by one private organization as one of the Seven Natural Wonders of Africa. It is the world's largest intact, but inactive and unfilled volcanic caldera. The crater formed when a large volcano exploded and collapsed on itself two to three million years ago, is 610 metres (2,000 feet) deep and its floor covers 260 square kilometres (100 square miles). The Ngorongoro Crater includes most of the animal species found in East Africa. Approximately 25,000 large animals, mostly ungulates, live in the crater. Large animals in the crater include the black rhinoceros (Diceros bicornis), and the hippopotamus (Hippopotamus amphibius). There also are many other ungulates: the wildebeest (Connochaetes taurinus), Burchell's zebra (Equus burchelli), the common eland (Taurotragus oryx), and Grant's (Nanger granti) and Thomson's gazelles (Eudorcas thomsonii). Waterbuck (Kobus ellipsiprymnus) occur mainly near Lerai Forest. In this way, the Ngorongoro Crater is an Arena of biological diversity. Being in this crater makes us aware of the process of looking for the right symbiosis in order to survive. Nature provides us with a sense of awareness. 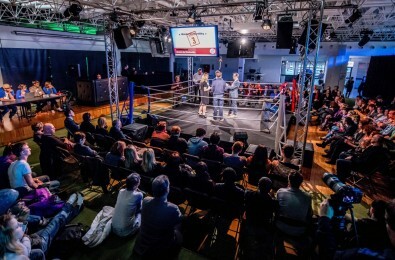 Footage of this arena will become part of the L.O.C.K. AVRDC – The World Vegetable Center, an international nonprofit research and development institute, is committed to alleviating poverty and malnutrition in the developing world through the increased production and consumption of nutritious and health-promoting vegetables. Having the world's largest collection of vegetable germplasm and a strong research and development center. Working on the improvement of varieties of vegetables, the center provided the group with useful insights. During the visit to the center, vegetable breeder Fekadu Dinssa gave a very detailed explanation of the wide variety of vegetables the continent has to offer. Also information was given on how they are being selected and bred to serve the population. This group of researchers, scientist and experts formed the second Arena de Evolución, together with the Maasai. 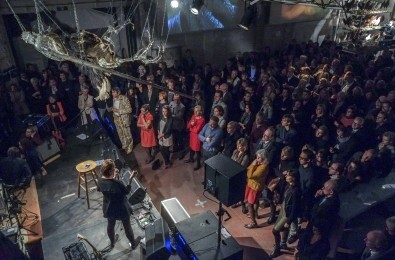 They gathered to discuss the essential topics in Vanmechelen's work and the knowledge generated by this week will be added to the Library of Collected Knowledge (L.O.C.K.). 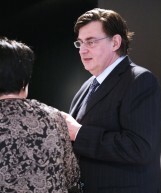 Because fertility always comes from outside – Koen Vanmechelen.